Andy Spade has released heart renching statement one day after the suicide of his wife fashion icon Kate Spade. Andy states that her suicide came as a complete shock and that she sounded happy last time that they spoke. Get the details here. 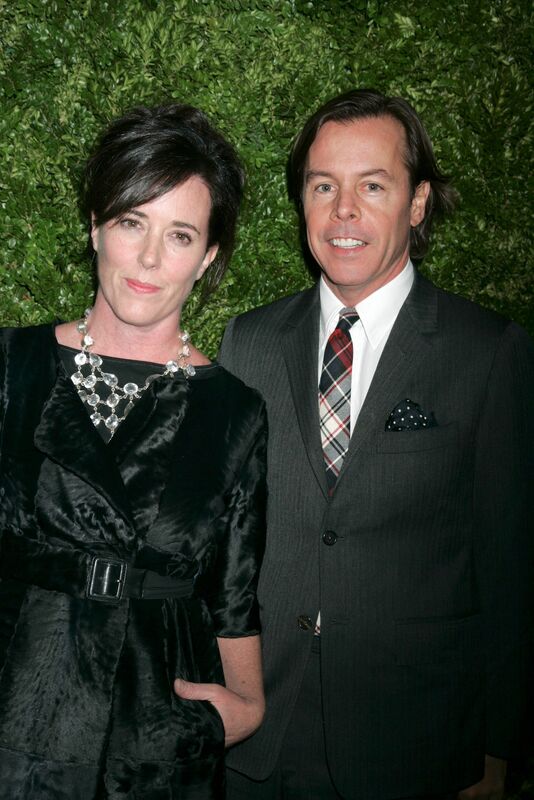 Andy Spade, 55, released a very heart wrenching statement, obtained by Variety, after the unimaginable death of his wife, fashion designer, Kate Spade, 55, who reportedly committed suicide by hanging on June 5. Kate and Andy were married for 24 years and had recently agreed to separate and co-parent their teen daughter. Here is Andy’s Statement in FULL below. ” Kate was the most beautiful woman in the world. She was the kindest person I’ve ever known and my best friend for 35 years. My daughter and I are devastated by her loss, and can’t even begin to fathom life without her. We are deeply heartbroken and miss her already. Editor’s Note: Depression is a very serious thing. I myself is helping someone very close to me during their dark times of dealing with Depression and anxiety. It is a mental illness that is very common and happens very often at any age. It’s also a mental illness that can only be cured by the person that is dealing with it. A strong support system is highly recommended. It isn’t easy supporting a person with depression because when you try to help they push you away and take out their personal demons on you and make you feel as if you’re not wanted but deep down they do love and care for you. It’s hard for them to love when their mind is telling them they aren’t good enough or they aren’t deserving enough. My heart goes out deeply to the Spade family and I am happy that Andy is their for Bea and the brand. I know Kate would want her legacy to live on its very sad she couldn’t beat this fight within herself. If you are someone dealing with depression try hardly to remind yourself you have those who love you and you are worthy and you are amazing. Don’t give up because their are people who think you are a work of art but most importantly love yourself as much as you can.